In YOU ARE, the artist places herself as a stand-in to explore black womanhood through the standard descriptors of white womanhood. Starting with Hallmark movie description, the artist noted the adjectives used to describe the primarily white protagonists of romantic films. The assembled words are seldom used to describe African American women and girls. The artist created a second list of terms that she felt were not considered realistic descriptions of them due to prejudice, hate, fear, ignorance. Black girls similar to black boys are rarely viewed as innocent or children, but as disjointed shadows or threats. Black women are seldom viewed as beautiful or acceptable romantic protagonists as evidence by the dearth of such in Hallmark romance movies. 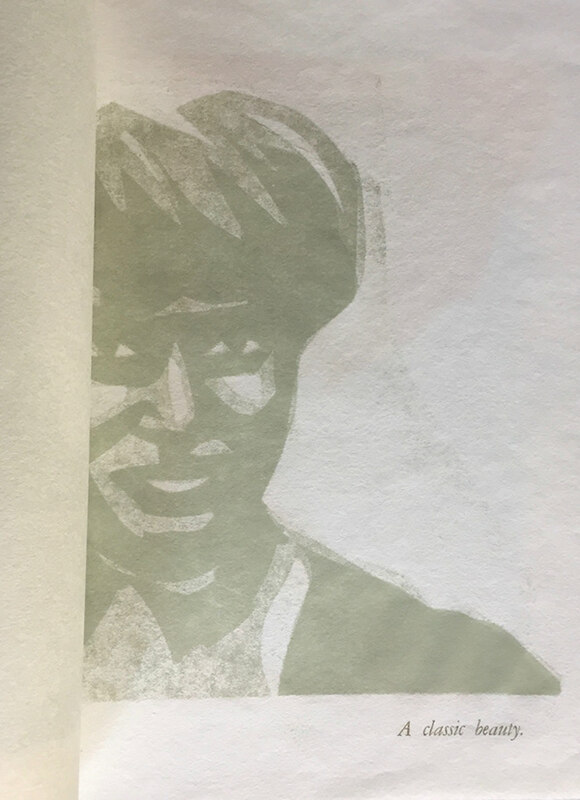 Paired with pressure printed, artist self portraits that shift in terms of fragmentation and obfuscation, the handset letterpress text emerges as a fractured list of affirmations for black girls and women. Similar to the I AM artist's book (2018), the artist controls how and how much photographic detail is shown. She can delete information: backgrounds, people. She can alter color, scale, orientation. Personal and family photographs as well as those that the artist shared on social media were digital manipulated, hand cut and assembled as paper matrices. The accompanying letterpress text serves as captions, which depending upon the reader and who they deem to be "they" reads as affirmations of black womanhood or re-evaluation of white womanhood as the only ideal in terms of beauty, human value. A the phrase Black Lives Matter speaks to what should be obvious and true as well as what currently is not. The captions in You Are explore a duality in American femininity that defines and is tension with the other. Containing pressure prints with handset letterpress on kozo and lokta papers, YOU ARE is stab bound in an edition of 25 copies. Collections: Bibliotheca Librorum apud Artificem, Kenyon College, Ohio University, Scripps College, Stanford University, Swarthmore College, University of California at Santa Barbara, and Yale University. 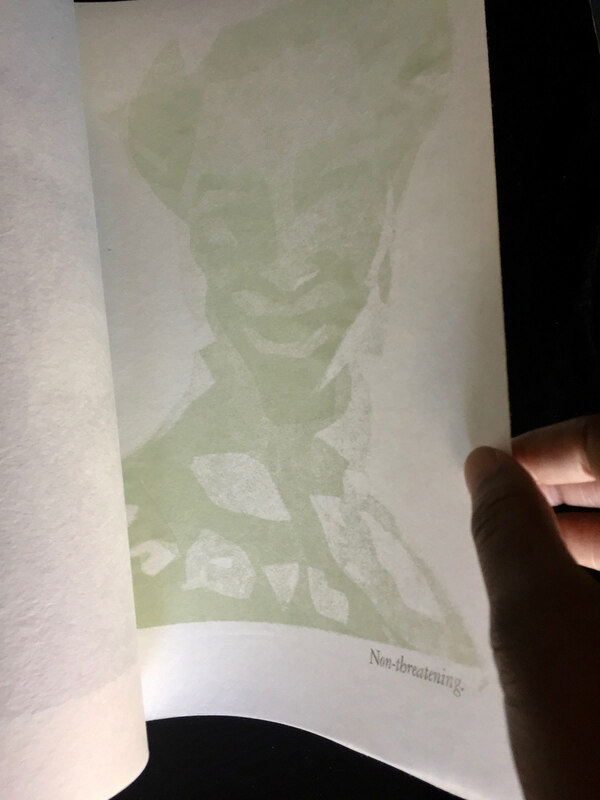 Artist's book featuring pressure printed portraits paired with handset letterpress captions to create affirmations for African American women and girls.